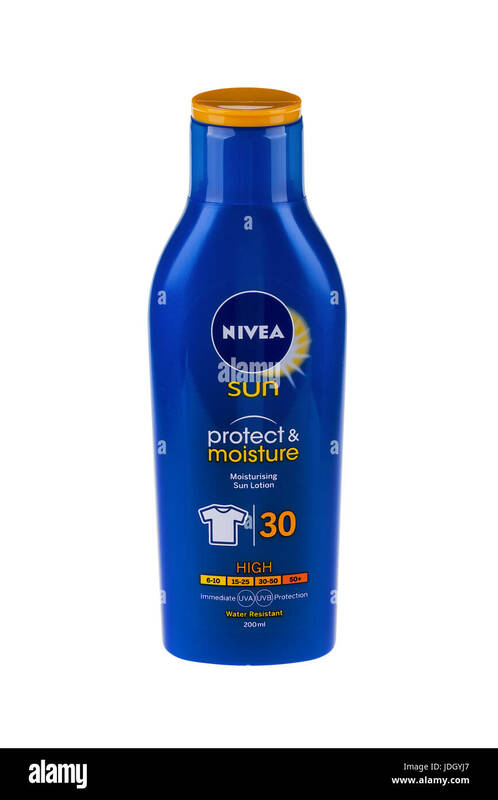 BURGAS, BULGARIA - MAY 22, 2017: Nivea sun lotion SPF 30 200 ml isolated on white, with clipping path. 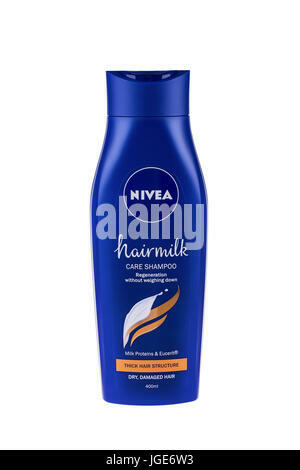 Nivea brand owned by the German company Beiersdorf AG . 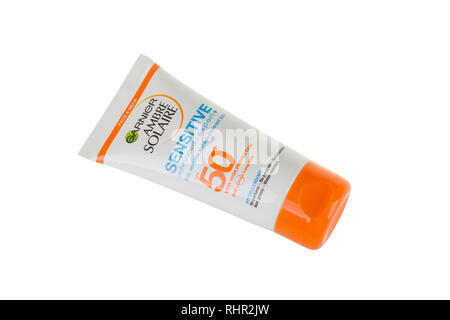 BURGAS, BULGARIA - MAY 22, 2017: Garnier Ambre Solaire Sensitive Face and Neck Sun Cream SPF50, 50ml isolated on white, with clipping path. 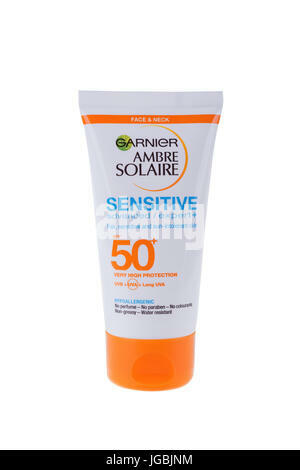 BURGAS, BULGARIA - MAY 22, 2017: Garnier Ambre Solaire Sensitive Face and Neck Sun Cream SPF50 50ml isolated on white, with clipping path.